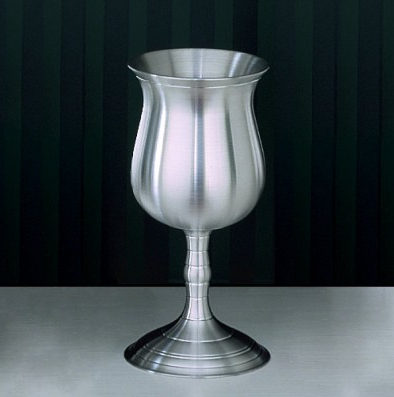 The beautiful satin finish on our Bell Wine Goblet makes a statement of style and sophistication. Add engraving with her name, monogrammed initials or your unique message for a personalized touch. Arrives in a lovely Hampshire Pewter gift box. Does she prefer water to wine? Give her our Bell Water Goblet. 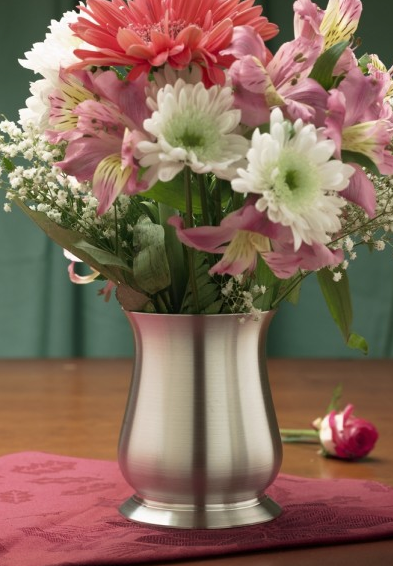 The simple elegance of our Bell Table Vase makes it a customer favorite. This timeless design with an understated satin finish will complement the decor and style of any home. We can all use a guardian angel. 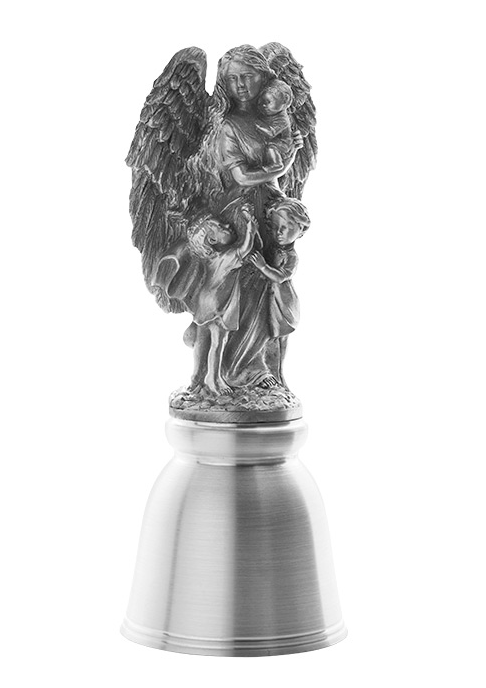 This is the third in our Angel Bell Series of six limited edition Hampshire Pewter Bells. Our loving guardian angel is caring for these little ones. May she remind you that at Christmas and throughout the year your guardian angel watches over you and your loved ones. Five great gift ideas for under $25! 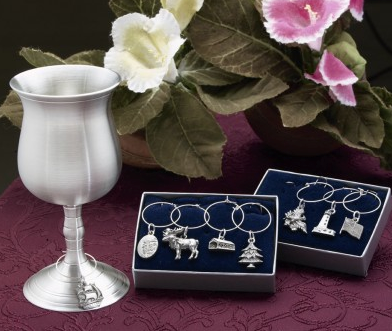 Show her you know her and pair our Bell Wine Goblet with a set of wine charms selected especially for her. Each set comes with four different charms - choose the perfect set for her from dozens of designs! 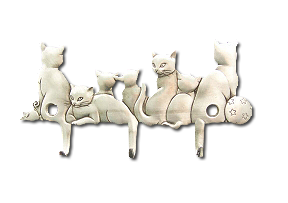 The cat lover on your list will think our Cat Triple Hook just the purrfect gift. It's a personal statement for almost any room in the house. Perfect for hanging keys, towels, necklaces or other ornamental items. See more Triple Hook designs! She'll be the chicest at the club and on the course with her personalized golf tag. Engrave her monogrammed initials or choose to convey your own unique message. 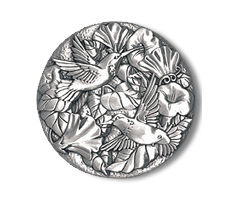 This round, fine pewter mirror is designed for her bag and will be cherished for years to come. With a beautiful hummingbird relief design on one side and a 2 3/4" mirror on the other side, this wonderfully personal gift comes in a felt pouch. See additional Purse Mirror designs! Our Flower Cross, featuring a delicate and feminine floral design, is the perfect gift for her to always keep you close at heart. 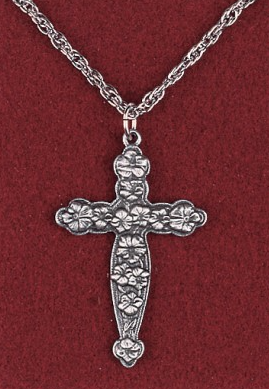 It is packaged in its own special box and comes with a 24" chain. Make Hampshire Pewter your Christmas gift destination.